For the last eight years, Henry Frederick Stanley Morgan has been the perfect partner to Wilhelmina Morgan Callaghan. "Wonderful" Henry is always on hand for a cuddle, is both loyal, unwaveringly kind and supportive. 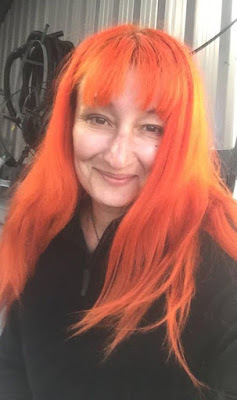 While Henry and Wilhelmina, 43, do have their disagreements, she calls him her king and also credits him with helping her get through a rocky patch in her life. The only unusual thing about Henry is that he happens to be an eight-year-old Yorkshire terrier. She adopted Henry from a friend who had a litter in 2008. 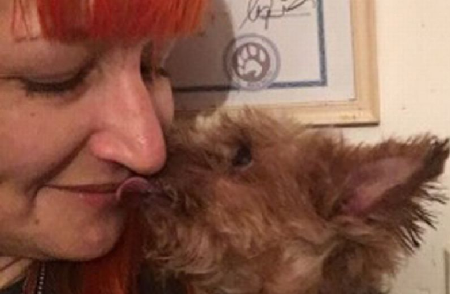 After reading about people who had married their pets online, she decided to take the plunge with Henry - and they celebrated their eighth wedding anniversary this year. They became dog and wife via a website, with Wilhelmina's friend Rebecca Carter acting as witness. 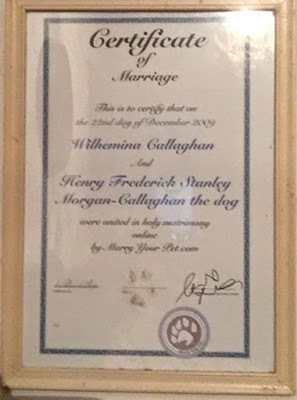 While it's not possible to legally marry your pet in the UK, they nonetheless have a certificate to mark their spiritual union, and it's a commitment Wilhelmina takes very seriously. Despite the inevitable tensions which arise, it's Henry who often emerges as the peace-maker. "If a new dog enters the fold, Henry is the first to go over and say hello. There's no ego, he is just so friendly." The couple even have 'their song'. She adds: 'When I sing it, he runs over. It's called 'Harry's Song' and it includes the lyrics, "Harry is my love. Harry is the one'." "He's been there for me more than any men have ever been. "Unlike other marriages which fall apart, I know I'm with Henry for life. People may think I'm barking mad, but he's perfect for me."